From the footage sprung a great deal of discussion, theories and just plain old speculation, but no real definitive conclusions. Sure, everyone’s been jabbering on about the new lighting effects with the enthusiasm of a Korean chef in a dog pound, but there hasn’t really been anything that the post-reveal write-ups have uncovered. So without further ado, I’d like to hang my manhood just above the meat grinder and throw out my own offering of theoretical manure. Customisation is the main thing that I’m going to focus on, and I’d like to clear up one thing right now. Perks, they aren’t. Call of Duty does ‘perks’. They’re part and parcel of the CoD franchise. And for players who like the frenetic game-play, perks add some additional spice and variety. 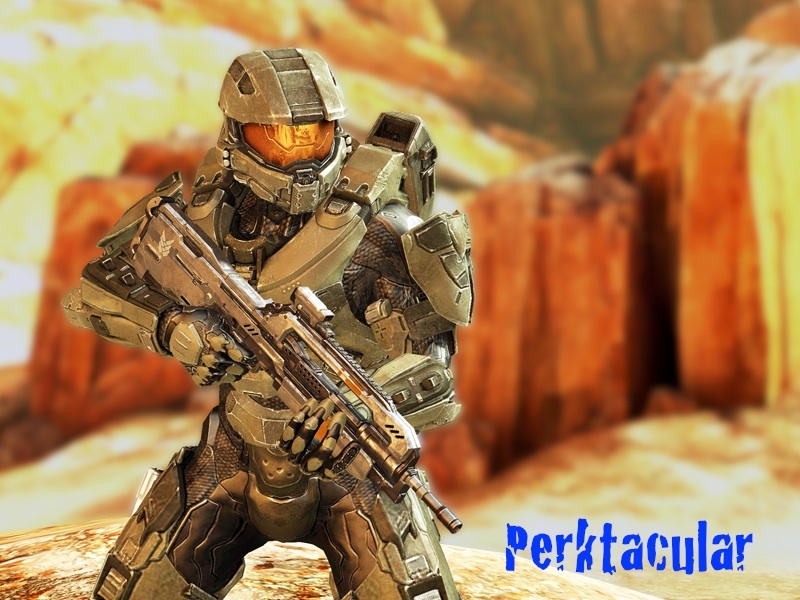 For 343 industries to include ‘Perks’ as they are in Call of Duty would be disastrous for all concerned. Spartans don’t need perks. Thanks to Catherine Halsey, they’re already perked up to the eyeballs with superior strength, speed and agility. But obviously in multiplayer, everyone seems to be fighting on a level playing field and you lose that sense of superiority over the average human being, as you’re all supermen and superwomen. So how do you improve on a Spartans’ abilities? Simple, you look to the fiction; something that Frankie has already stated will have greater standing in the new trilogy. But for proof of this we have to look back, into the past. I believe the reality of Halo 4’s customisation set up actually harks back to Halo 3 but goes to some interesting extremes. 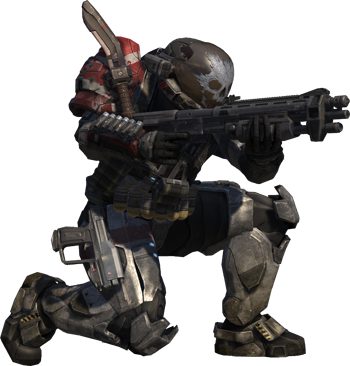 For a better understanding, we have to look at the armour that was available in Halo 3. In the final instalment of the initial trilogy we were give the choice of different armour – and that included helmets, chest armour and even the shoulders. We could dress our beloved Spartan’s in a variety of armour types. And when we scrolled through the list of armour we were given some background information on each variant. EVA (Extra Vehicular Activity) armour for instance was designed to provide the wearer with improved vision and movement in a zero g environment. 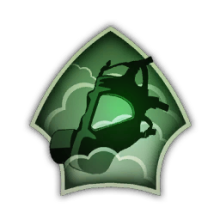 That didn’t mean Jack in multiplayer, but it looked cooler than the Decepticon, Soundwave, so we didn’t care about the lack of improved mobility, etc. We just liked the fact that it was ‘Badass’. Reach improved upon this even further by allowing us to alter our Spartans’ appearance even further and we had even more armour to choose from to do it. And thanks to Emile, EVA was now at an even higher level of ‘Badass’. But although the list of armour improvements was impressive, there was – again – still no impact in multiplayer. But what if 343i has finally decided to change that and allow our armour to do on the battlefield what the info blurb says it was designed for? With that, our choice of armour not only becomes an aesthetic choice but a tactical one, suited to each individual player’s style of online combat. With that in mind, EVA (if included) could provide you with some inherent improvements over the standard Mjolnir model. You might be able to move just that little bit faster and have a wider field of view – something achieved by a curving effect at the very edge of the screen. Additionally, any zero g maps or maps that feature areas of zero g immediately become your native stomping ground. Whilst everyone else is swimming around in an area where what goes up doesn’t necessarily come down, you would have a home-field advantage in the form of Micro-thrusters that allow you greater freedom of movement, or if using various EOD components, you become more resistant to explosive attacks. You could take it even further by wearing Scout armour, a Mjolnir variant with stealth-like properties, something that could negate the motion sensor, making you a true assassin. 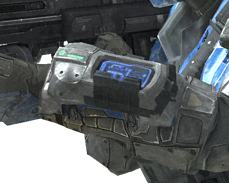 Other additions might include optional equipment accessories like the Tactical UPGS, a data pad worn on the wrist. This could enhance the range of your motion sensor or negate the effects of Scout armour. So instead of each choice simply looking good, they would have real in-game value. It would also allow for a more team-based approach to Big Team Battles or Team Slayer matches. Targeting assist options improve the teams’ sniper, whilst those sporting chest armour reminiscent of Emile’s grenade hungry pouches would see a notable rise in the number of grenades they can carry, perhaps even doubling the standard compliment. Of course, this is only a theory. But if it’s even remotely accurate, it really could add something familiar, and yet distinctive to the new Halo trilogy. And I probably haven’t even scratched the surface. if you put these adjustments in the gameplay, then nobody would make a spartan that is nice to look at, but an “ugly” spartan that just has the best improvements. I haven’t actually thought of it that way, but that makes total sense with the canon of the game and brings real enhancements into play that before were just descriptions in the armory. Things that have been mentioned since H3. Then when you see someone wearing a particular set of armor you know what advantage/disadvantage they have. As far as aesthetics, I agree that it seems like you will lose the ability to express yourself in your visuals (for enhancement supported gametypes anyways). But now you can express yourself in your setup based on your play style. Your visuals will match the type of player you like to play as; such as stealth, cqb, recon, etc. I honestly hope there won’t be one armor setup that rules them all tho. I wan’t to set my armor up to enhance the style I play…not the style that might be easiest to get all the cheap kills. If they can get that balance right then I may be a little less skeptical of this “perk” system. Though it better feel/play way different than CoD’s system.